ENVEO is investigating together with scientists of the Northumbria University in UK the impending break off of the Brunt Ice Shelf in Antartica. 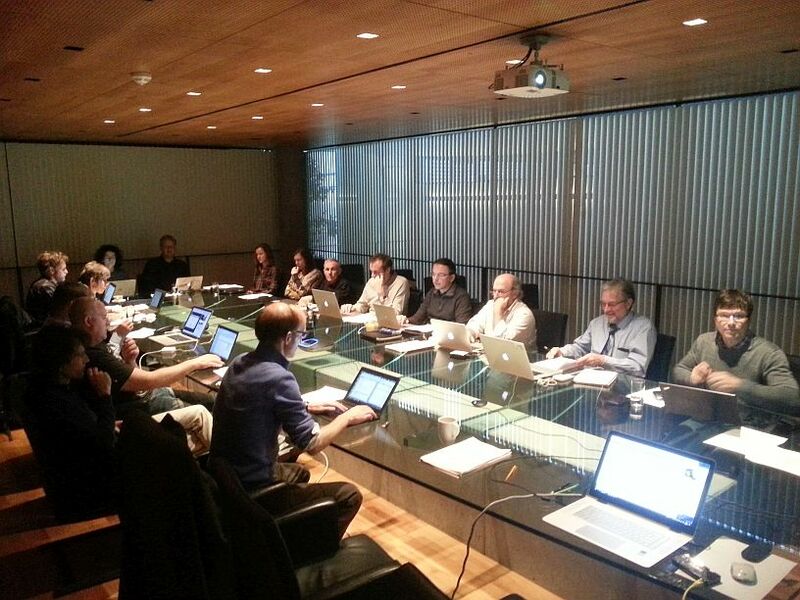 From 12 - 14 December 2017, ENVEO hosted the 7th annual meeting of the WMO's Polar Space Task Group (PSTG) and the SAR Coordination Working Group (SCWG). 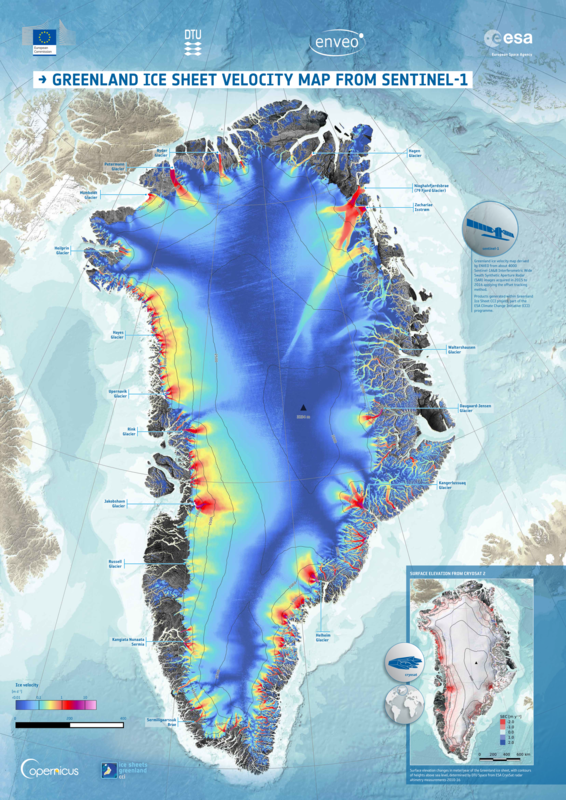 ENVEO generated the ice velocity map for the Greenland Ice Sheet from Sentinel-1 data in the frame of the ESA Greenland Ice Sheet CCI project. About 4000 acquisitions from Sentinel-1A&B in 2015 and 2016 were used to generate this product. Click here to view or download the poster in full resolution (132 MB). On 12th July 2017, the Iceberg A68 broke away from the Larsen-C Ice Shelf on the Antarctic Peninsula. 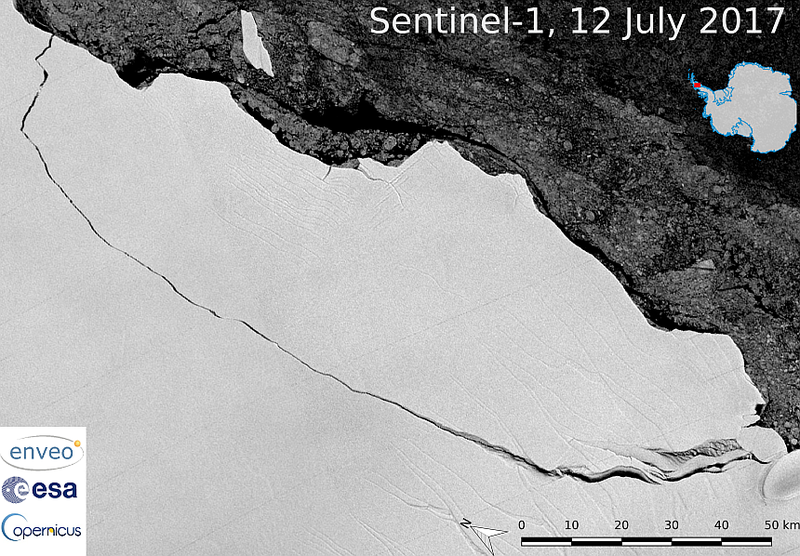 Based on Sentinel-1 data, ENVEO illustrates the full dimension of the ice crack at the time of the collapse. Dr. Gabriele Schwaizer from ENVEO lectured on "SAR/Optical Applications to Ice and Snow" at the 9th ESA Training on Radar and Optical Remote Sensing in Vilnius, Lithuania. 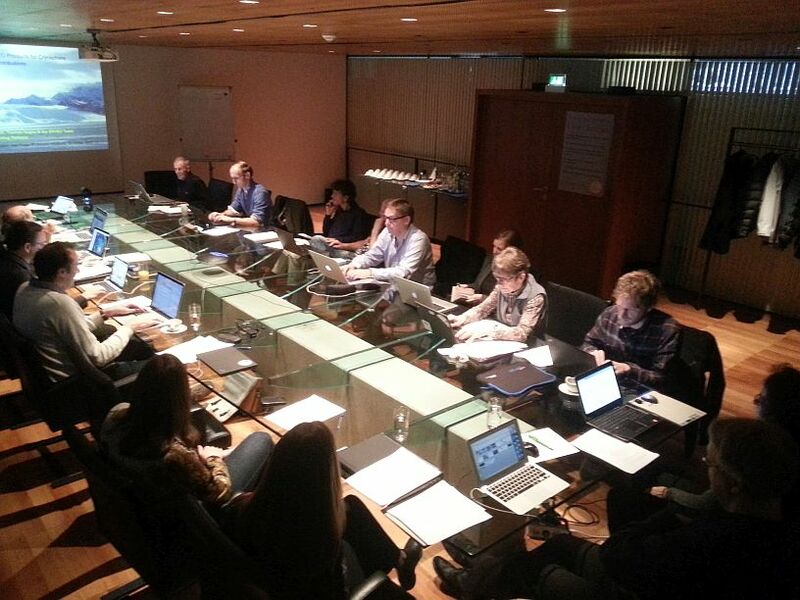 In the associated practical training, the participants gained experience on the generation of wet snow maps from Sentinel-1 C-SAR data, and of binary as well as fractional snow extent mapping from Sentinel-2 MSI data.